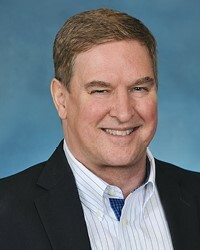 Dave Hood President – iFranchise Group Specializing in aggressive growth strategies and implementation, Mr. Hood has held senior management and consulting positions within the franchising and retailing industries since 1988. He is an expert in areas of franchise development and implementation, retail management, site selection, international business, and strategic planning. Over a nine-year period, Mr. Hood directed the franchised expansion of Auntie Anne’s Soft Pretzels, one of the fastest-growing and most highly regarded franchise systems within the U.S. During his tenure at Auntie Anne’s, the company expanded from a start-up concept to an international system comprising 640 domestic and more than 100 international retail locations, 320 corporate employees, and system-wide sales of over $200 million. As Vice President of franchise development, and later President, Mr. Hood played a key role in the development and implementation of the company’s business development strategies in both the U.S. and international markets. Mr. Hood has also consulted with a wide range of franchised and non-franchised organizations in the U.S. and abroad, including Armstrong World Industries, Allstate Insurance, Australia Post, Ryder Truck Rental, Bridgestone, Nestle, El Pollo Loco, Einstein’s Bagels, Oreck, Culligan, Sweet Tomatoes, Denny’s, the U.S. Navy, Haagen-Dazs, Subway, Potbelly Sandwich Works, Senior Helpers, Massage Envy, Twentieth Century Fox, and many others. Mr. Hood currently sits on the Board of Directors of Harris Research (parent company of Chem-Dry and N-Hance Wood Renewal). As an experienced franchise business consultant, Mr. Hood’s expertise in areas of franchise implementation includes organizational development, international franchising, franchise marketing and sales strategies, regulatory compliance programs, franchisee support systems, the development of franchisee advisory councils, consumer marketing, retail brand development, site selection, and operations training. He is a frequent speaker at IFA and other industry events, and has written or collaborated on many papers, articles and interviews within the franchise media. This workshop is ideal for business owners interested in franchising or those trying to determine if franchising is a legitimate growth option. It will help business owners understand whether their business is franchisable, franchising versus alternative growth strategies, the process of franchising, legal requirements, quality control, franchise best practices, costs, and potential returns. Click here for more details. Avoiding litigation as a franchisor is more about good planning than it is about good luck. This session will help the start-up franchisor understand the most common business and legal traps that can lead to avoidable litigation. Discussions will focus on practical advice for avoiding both franchisee litigation and vicarious liability for the acts of your franchisees. Topics will include sales and marketing best practices, regulatory issues and compliance, dispute resolution, franchise relations, and minimizing liability while maintaining quality control.